With Thanksgiving behind us and Christmas only weeks away, children are excitedly counting the days until Santa arrives, dreaming of bicycles and iPhones and whatever furry, automated animal will become the “it” toy this season. Are you worried about getting the house ready for visiting family members? Are you keeping close watch on the budget as Santa’s sleigh is filled to the brim. Are you excited? Are you jolly? According to healthline.com, depression in America reaches its peak during the months of November and December. There are many factors that attribute to this spike: increased financial pressures, loneliness, isolation and the extra stress of creating the “perfect” holiday. But does it have to be this way? Is having an immaculately clean house, a perfect turkey, and a heaping pile of presents under the tree really worth your happiness? 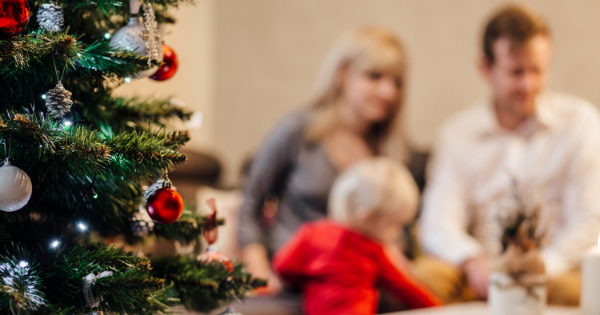 Being present, listening to your children, your husband or wife, making sure that when the 2018 holiday season has come to pass you’ve enjoyed it—that’s what’s important. Let me offer a few tips to help you remain mindful throughout this holiday season. One of the first issues Kabat Zinn outlines is how we’ve gotten into the habit of ignoring the present in favor of moments yet to come. This thought is perfect for the holiday season, Christmas especially. It seems more and more Christmas is expanding, great swaths of green and red rolling out through November and into October. I don’t know about you, but it’s hard for me to understand putting up a Christmas tree before Thanksgiving. Here’s a thought: When it comes time to put up a tree, go cut one down. Make a day of it. Enjoy the time spent with your family, the sound of the saw on the wood, the crisp bite in the air. See, the key to truly experiencing Christmas is enjoying the little things. That’s what being mindful is all about. Take a deep breath. Notice the way your chest expands. Enjoy the waft of pine coming off the real tree you went out and cut yourself. Feel the heat of the fire in the living room. Listen as the wood crackles and pops. Keep your eyes open, so you can see your family, each face, each body, and how they’re all connected to your own. Breathe out, and know that this moment—this breath—is what matters. Sprays wild on death’s rattle breeze. The last rays of warmth soon nil.